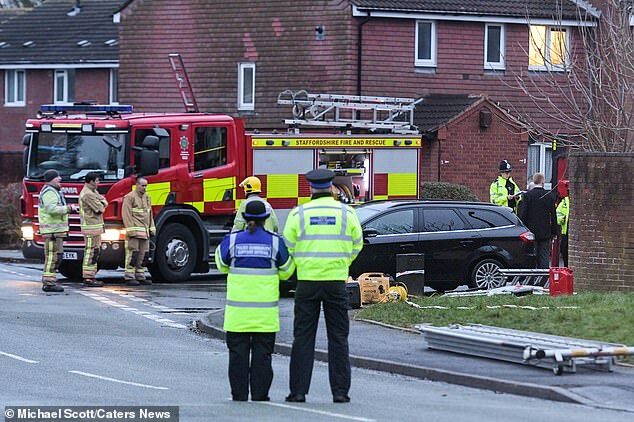 The mother and father of four young children who died in a ‘gas explosion’ at their terraced home have been arrested for gross negligence manslaughter. 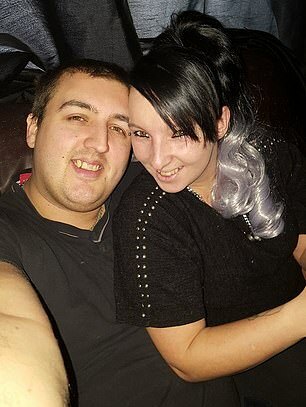 Natalie Unitt, 24, and her partner Chris Moulton, 28, leapt from the first-floor window with their youngest child, Jack, two, after the inferno broke out on Tuesday. 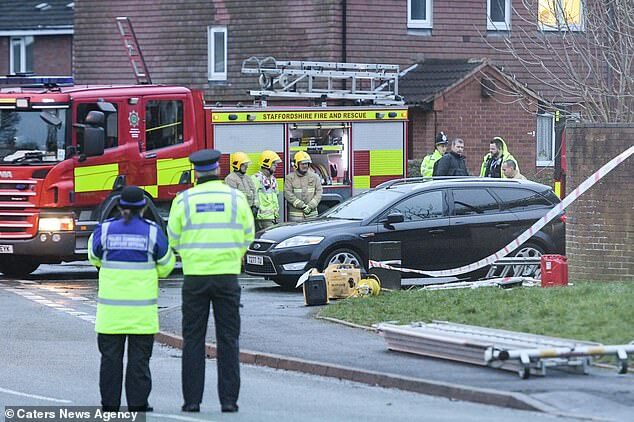 The couple are thought to still be in hospital, but their injuries are not thought to be life-threatening. Staffordshire Police confirmed the man and woman were arrested at 1.30pm today. 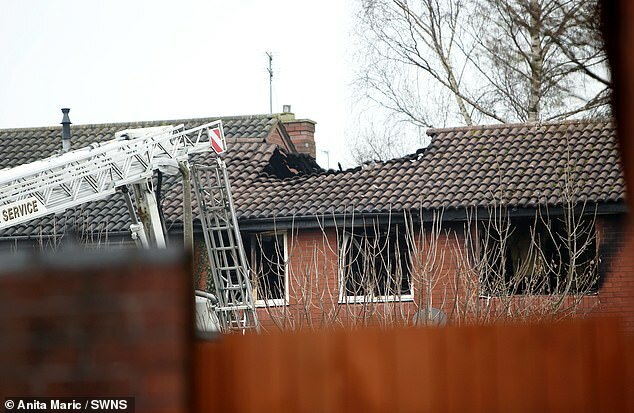 In a statement, Staffordshire Police said: ‘Officers from Staffordshire Police have made two arrests this afternoon following a house fire in Stafford on Tuesday. 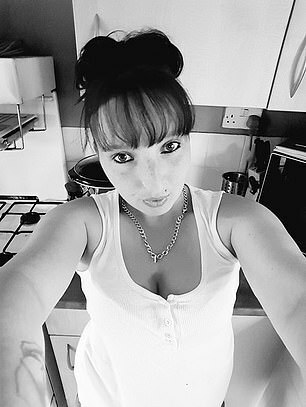 ‘Following an update from investigators into the probable cause of the fire we have arrested a 24-year-old woman and a 28-year-old man on suspicion of manslaughter by gross negligence. ‘The arrests were made at around 1.30pm. The man and woman are in custody. This incident has had a huge impact on the community and we understand there will be confusion and a demand for information. 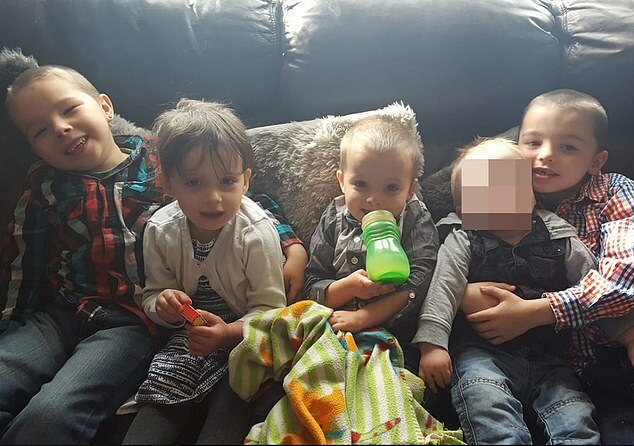 The teachers of the four children killed say the schools have been left heartbroken by the tragic events of this morning. Nicola Glover, head teacher at Castlechurch Primary School, said: ‘Our entire school community is absolutely devastated by this news. ‘Riley was a very confident, excitable member of school who came every day full of enthusiasm. ‘He was a caring friend who hated to see anyone hurt or upset and would do his best to help or cheer them up. Mrs Glover added: ‘Tilly was a happy little girl who loved coming to nursery. ‘She was a friendly and caring child who loved to read stories, dress up and paint. Tilly was always proud of her achievements. Kim Ellis, head teacher at Marshlands Special School where Keegan was a pupil, said: ‘Keegan was lively, full of fun and mischief with a really endearing smile. Both schools said they are offering support to help staff and fellow pupils following the blaze.